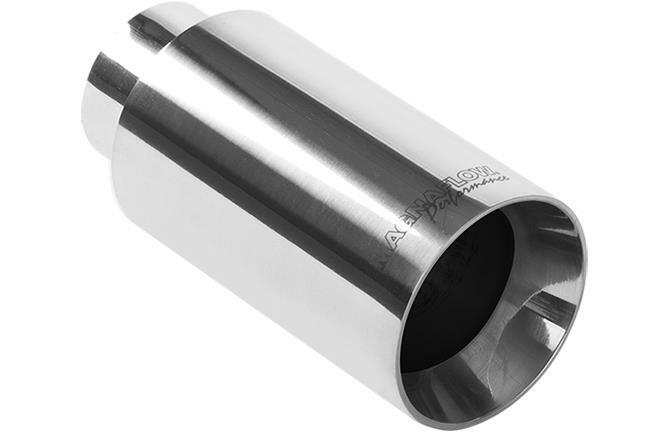 MagnaFlow’s Double Wall Tips feature a Mirror Polished finish and Stainless Steel construction that will last 5 times longer than chrome tips. High Quality Double Wall construction gives you an additional inner thermal barrier lining of Stainless Steel that provides greater protection and insulation from high temperature exhaust gases. This ensures that your MagnaFlow exhaust tip is less directly exposed to heat accelerating oxidization and will keep its color and appearance longer. These stylish durable tips will continue to shine for years to come with a Lifetime Warranty against defects.